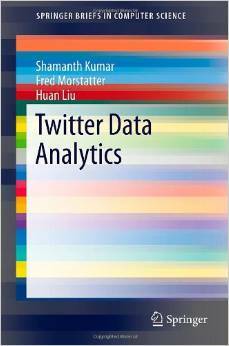 The book gives examples of Twitter data with real-world examples, the present challenges and complexities of building visual analytic tools, and the best strategies to address these issues. Examples demonstrate how powerful measures can be computed using various Twitter data sources. Due to its openness in sharing data, Twitter is a prime example of social media in which researchers can verify their hypotheses, and practitioners can mine interesting patterns and build their own applications. This book is designed to provide researchers, practitioners, project managers, as well as graduate students with an entry point to jump start their Twitter endeavors. It also serves as a convenient reference for readers seasoned in Twitter data analysis.